Newton Vineyard is a jewel atop Spring Mountain in St. Helena. 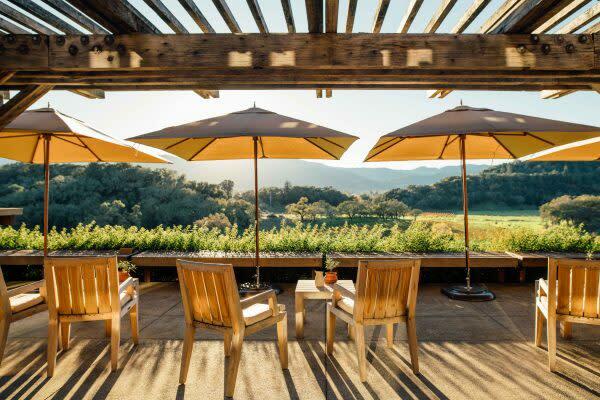 Enjoy unique panoramic views of Napa Valley and stroll through their famous English gardens while tasting through a selection of current vintage wines. 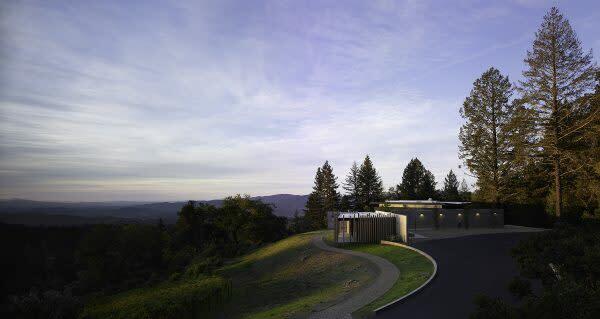 CADE Estate Winery (also in the cover photo) is perched high upon Napa Valley’s Howell Mountain among a dramatic hillside of Manzanita trees. Having received its Gold LEED certification in 2009, CADE is dedicated to the production of world-class wines through environmentally conscious innovation and is one of the architectural showplaces of Northern California’s wine country. 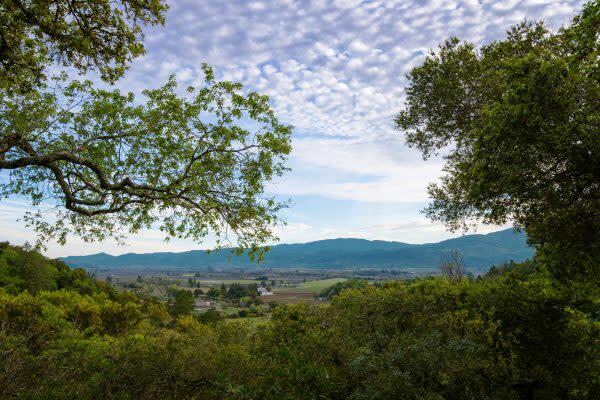 From the second story of Round Pond’s open deck winery terrace, you are able to overlook their Rutherford vineyards, estate gardens and the beautiful Mayacamas Mountain Range. You can experience the seasons with the bright orange and red hues of fall, or the plentiful yellow mustard throughout the vineyards in winter. Trees blooming and the vineyard buds breaking in spring, or enjoy the colorful sunsets in the summer. 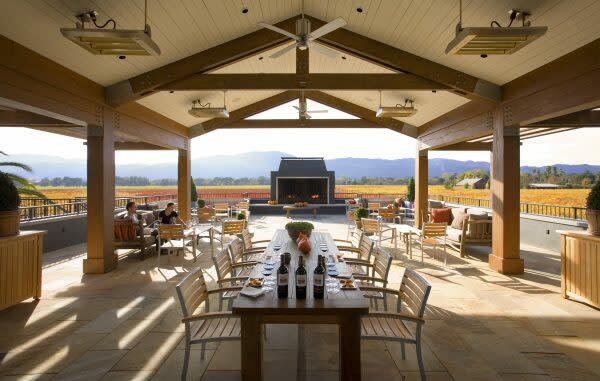 The Terrace Tasting at Joseph Phelps Vineyards offers guests the opportunity to taste the latest Joseph Phelps wine releases, including Insignia, while gazing out over the winery’s private 600+ acre ranch. Rows of vines span out below the terrace and the western valley hillsides are visible in the distance. At Fantesca Estate & Winery on Spring Mountain in St. Helena, your experience begins with a short walk to a private deck nestled among the oak trees. 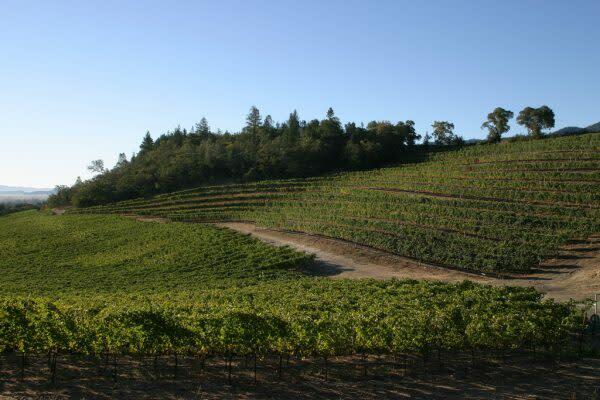 Once you reach the deck, acres of rolling hills planted to Cabernet Sauvignon stretch out before you, stopping only when they meet the tree-lined mountaintops on either side. 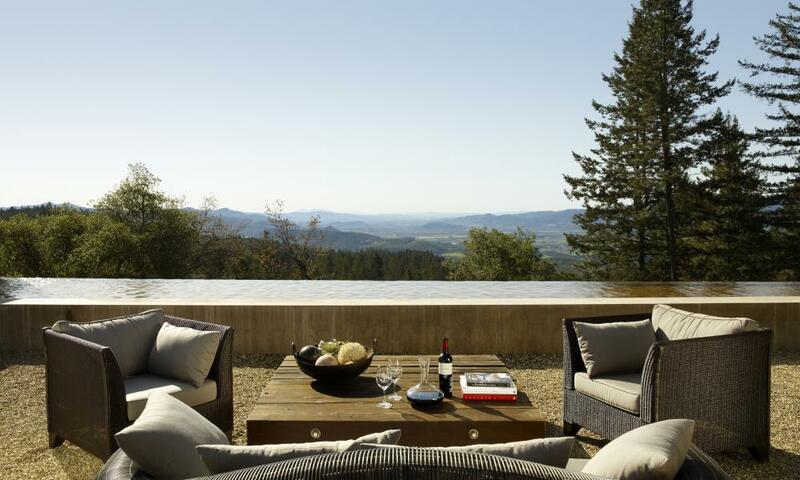 Relax and take in one of the best views wine country has to offer at Rutherford Hill. Reserve a table in their Oak Grove Picnic Area (weather permitting) to enjoy your picnic lunch while sipping on a refreshing bottle of Rutherford Hill wine. 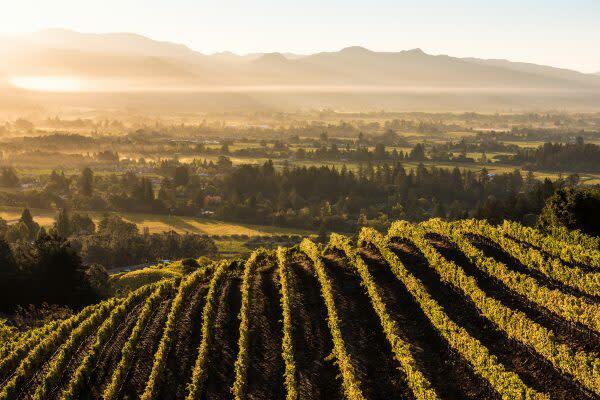 Cuvaison in southern Napa in the Carneros region has breathtaking sights with panoramic views of historic vineyards against a backdrop of majestic Milliken Peak. Whether speckled with vibrant yellow mustard in the spring or golden hues in the fall, this setting immerses you in the inherent beauty and richness of Carneros. Kuleto Estate is located on the Eastern edge of the Napa Valley overlooking Lake Hennessey and the town of Rutherford. This extraordinary mountaintop estate features several individual vineyard blocks, 3 distinct soil types and a range of elevations and exposures. 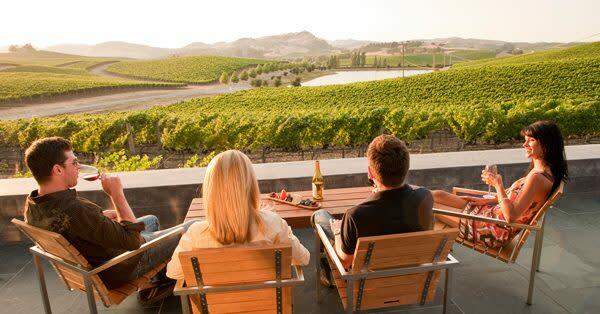 Guests can enjoy the sweeping views while sipping on the rich and diverse portfolio of exceptional wines. 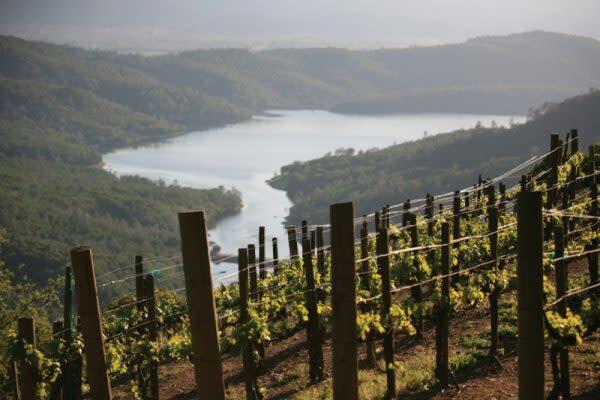 Sherwin Family Vineyards is at the top of Spring Mountain in St. Helena, overlooking the Estate’s beautiful lake and vineyards. The perfect place to experience the peacefulness and beauty of Spring Mountain while sipping world-class wines.